Foodstore and petrol filling station close to Llandrindod Wells town centre and railway station. New 40,000 sq. ft. foodstore together with 250 customer car parking spaces and PFS. 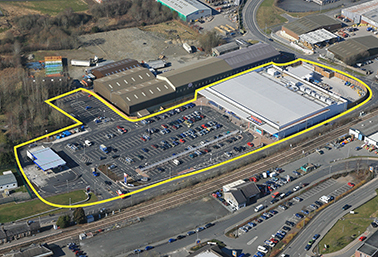 The site was sold to Tesco upon completion of a complex land assembly and planning process. The scheme required the construction of the 1.2Km Ddole Link Road and town centre improvement works part funded by a grant from the Welsh Assembly Government. CPG assembled seven legal interests and also acquired relocation sites for both Western Power Distribution and the Territorial Army/Air Training Corps. Purpose-built new buildings were constructed in each case.